Chamoli is a district of Uttarakhand state of India. And the District headquarters of Chamoli is Gopeshwar. Its area is 7520 sq. kms. Chamoli Garhwal is offers various places of interest which I also given below. It is located in the hills of Uttarakhand. Chamoli also happened to be a birthplace of "Chipko Andolan (The Chipko Movement)", and the movement is famous for save the forest in all over India. 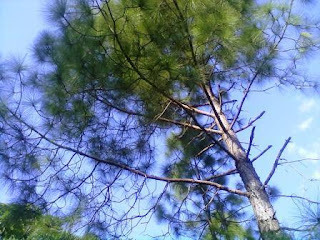 Chamoli Garhwal also offers various types of forests of Deodar, Rhododendrons, Oaks and others. The weather of Chamoli Garhwal is always good and normal temperature in summer and very cold temperature in winter season. The local language of Chamoli Garhwal is Garhwali, and you can also use Hindi and local market. Chamoli is well connected by roads transports from other major cities. Badrinath Ji: - Badrinath Ji is one of holiest temple in India, and also known as a Dham in India. Read More about Shri Badrinath Ji. Valley of Flowers: - One of the amazing valleys nested by various types of flowers is also come under the Chamoli District. It is 18 kms trekking route from Govindghat. Read more about Valley of Flowers. Auli: - An Auli is the best places for Skiing in Uttarakhand, and it is also a good place to spending your holidays in the snow capped Himalayas. Read more about Auli. The Prayag’s:- Prayag is known as Influence of Rivers, so you can visit the Karanprayag, Nandprayag and Vishnuprayag in Chamoli District. The Prayag are also known for the various temples, and holy influence of the rivers. Read more about the Prayag's. Nanda Devi Rajjat: - Nanda Devi Rajjat is holy tour held in every 12 years. And this time it will held on Aug 2013. It is also starts from Chamoli Garhwal. And you can also visit other places like Gopeshwar, Mana, Badangadi, Binsar Mahadev, Angyari mahadev temple and others.